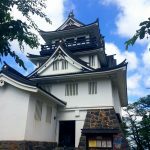 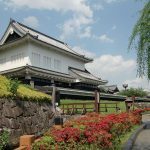 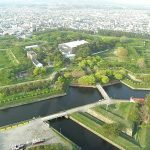 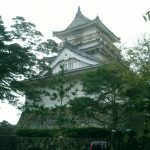 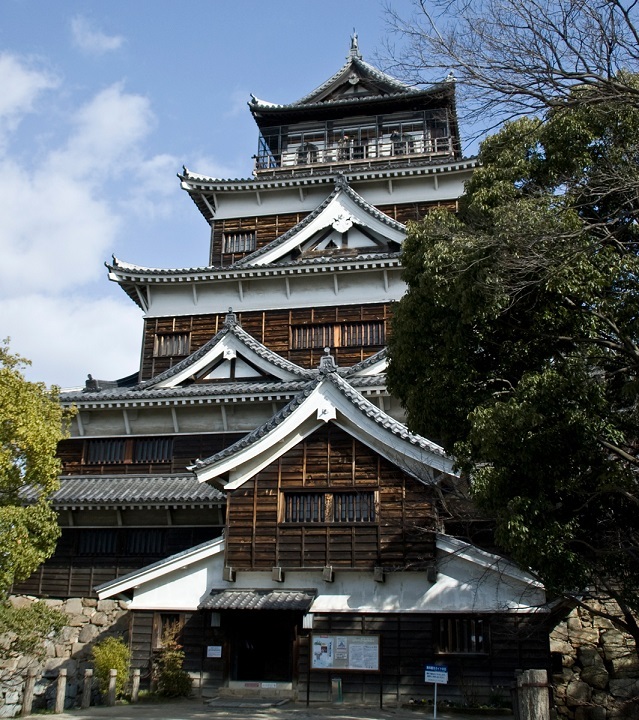 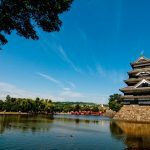 Hiroshima Castle, a castle built by Terumoto Mori in Hiroshima-shi, Hiroshima Prefecture, was built in Nakasu, Otagawa, which flows into Hiroshima Bay. 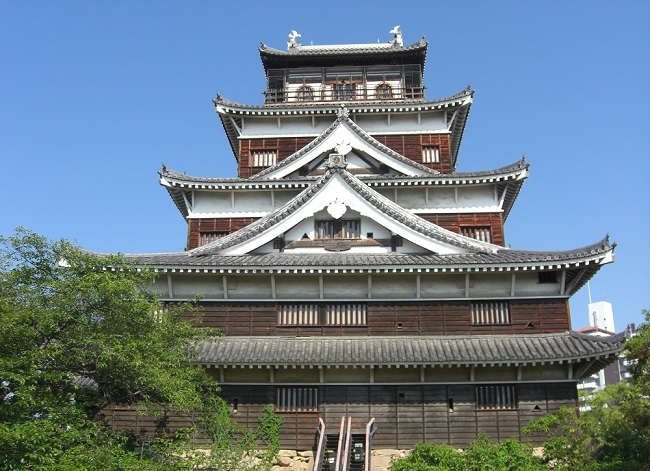 Considering the importance of trade and transportation from the sea, and it was relocated from the typical Kōriyama Castle, a mountain castle that Motonari Mori had been based for many years. 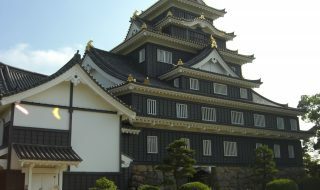 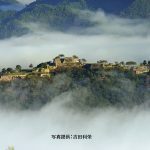 The castle also existed as Mahadeva no kami (the Governor of the Palace Guards) and Koten no mori (the governor of Kotenshu), and it was a castle of the rank that was suitable for the generations of the Mori family, but Terumoto was appointed as the commander of the West squad by Mitsunari Ishida during the Battle of Sekigahara, and during the battle, Hideyori Toyotomi was buried in the Siege of Osaka Castle, where Hideyori Toyotomi had been defeated, and Ieyasu headed for Osaka-jo Castle. 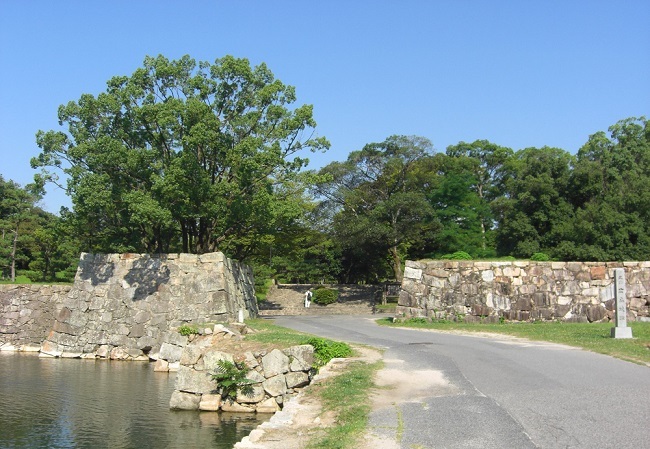 On the other hand, Terumoto was pressured to leave the castle by Ieyasu and returned to Hiroshima, and after that, Ieyasu’s award of merit was given to him, and the Mori family was removed from 1,200,000 koku to 20,000 koku, and the family was removed from the territory to 360,000 koku, and the salary of the vassals was reduced to 1/4, and the home ground was moved from Hiroshima to Hagi. 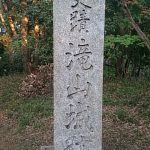 After that, Ieyasu handed over the head of the family to Hidetada, who succeeded to the throne, and Hidetada was appointed as Seii Taishogun (literally, “great general who subdues the barbarians”), but it remained stubbornly broken by the Tokugawa family, and Masanori submitted a notification to the Shogunate to repair the Hiroshima Castle, but he did not know anything about it, but he did the construction of the castle without knowing it somehow. 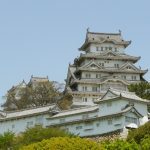 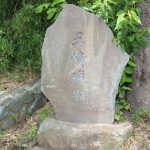 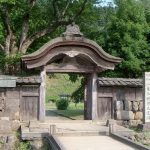 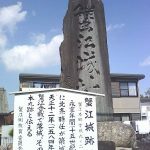 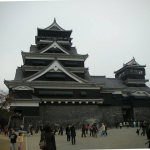 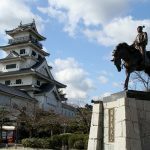 As a result of this, the Fukushima family had been removed from the Hiroshima Castle and decided to withdraw from the castle to Kawanakajima 45,000 koku. 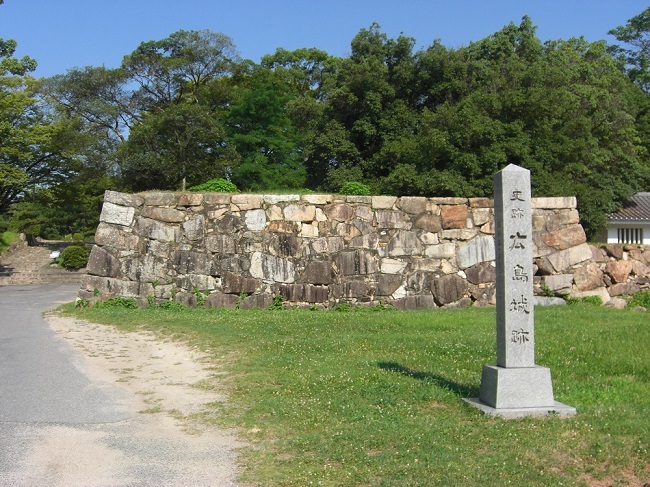 Masanori was said to have abandoned everything and did not resist the shogunate side, and it is said that “there is no loan to Hidetada in order to lend it to the shogunate,” and it is said that “there is no way to lend money to the Ieyasu public,” but it is said that it is actually close to the kaieki (forfeit of a fief) in order to transfer it to Kawanakajima. 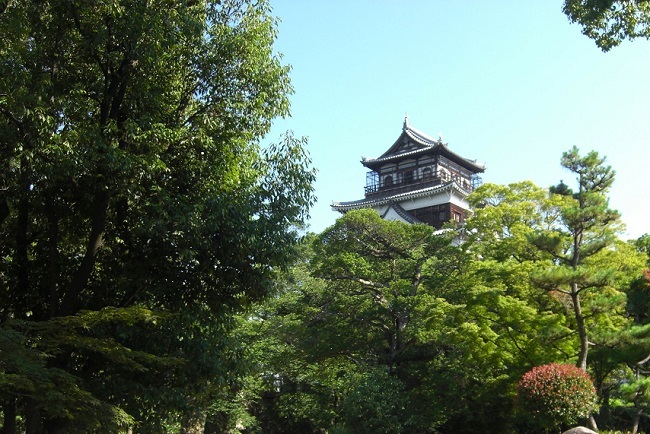 The Asano family was entered into the Hiroshima Castle after the Fukushima family moved out of order, and the Meiji era immediately came to an end, and the current Hiroshima Castle Tenshu (the castle tower) had disappeared during the war, and it was a restored Tenshu by reinforced concrete, and Hiroshima Castle was selected as the “73rd famous castle of Japan’s 100 castles”.